AudioLabel includes a CD Cover Template and DVD Cover Template for most brands of label paper. 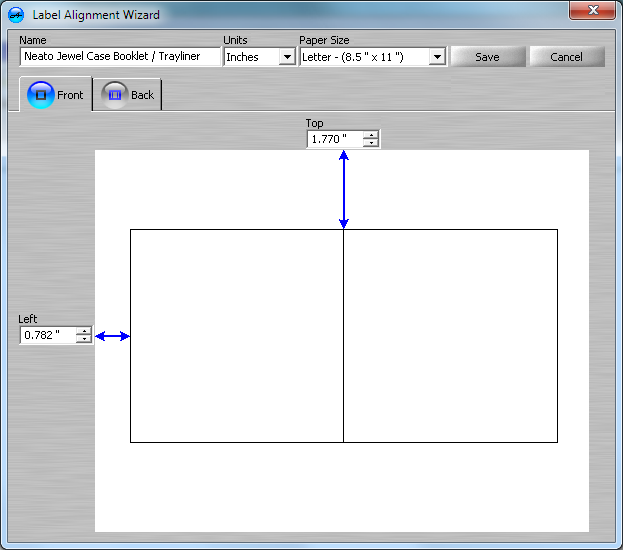 It's also possible to create a custom template (using any dimensions) that can fit other covers and cases. The templates can be printed on plain white paper, or CD sticker labels which can be purchased at any office supply store. 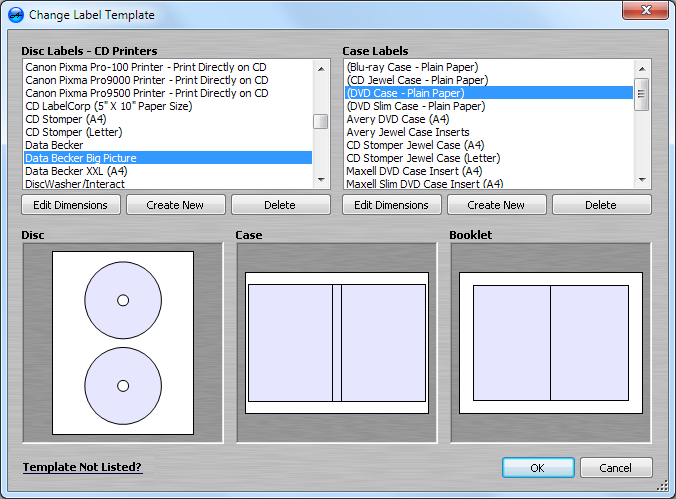 If you happen to own an ink-jet printer with a CD/DVD slot and tray, these templates can be used to print directly on the disc (without any label). There is also LightScribe support which means it's possible to laser-etch the cover design directly on a LightScribe disc. 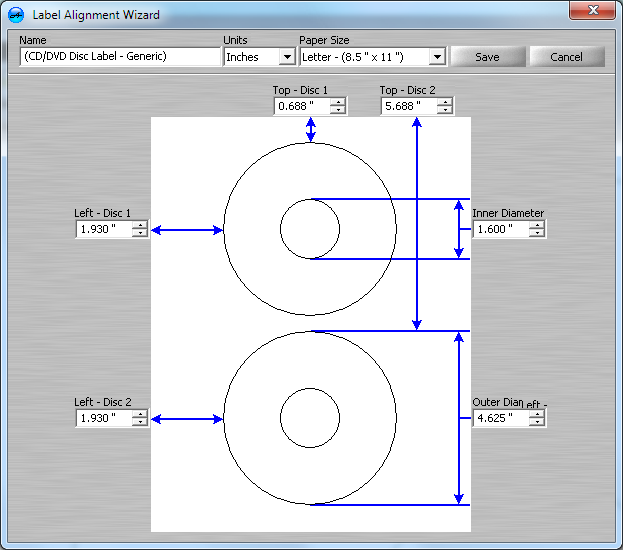 AudioLabel CD/DVD Label Software includes predefined templates for most brands of label paper including Avery, Allsop, Belkin, CD Stomper, Data Becker, Hewlett Packard HP, LabelGear, Meritline, Memorex, Neato, PressIt, Staples, Surething, and TDK. 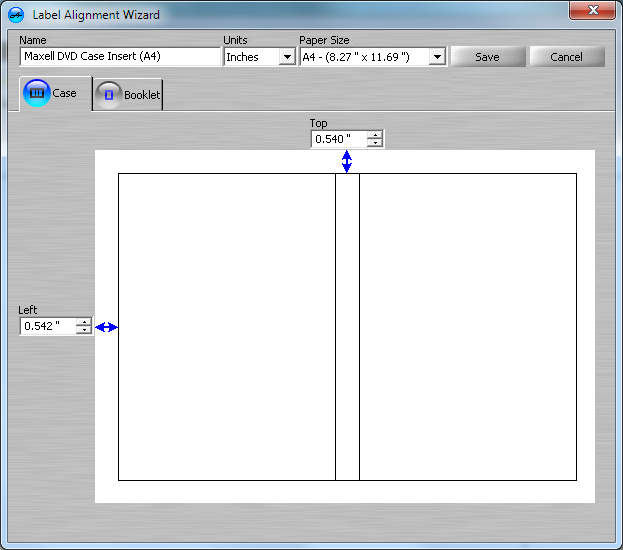 If your label brand is not listed, you can easily customize the cd template. 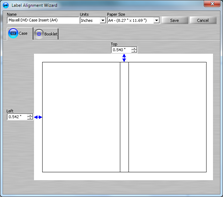 The Edit Dimensions Dialog (on the right) is an adjustable cd cover template. 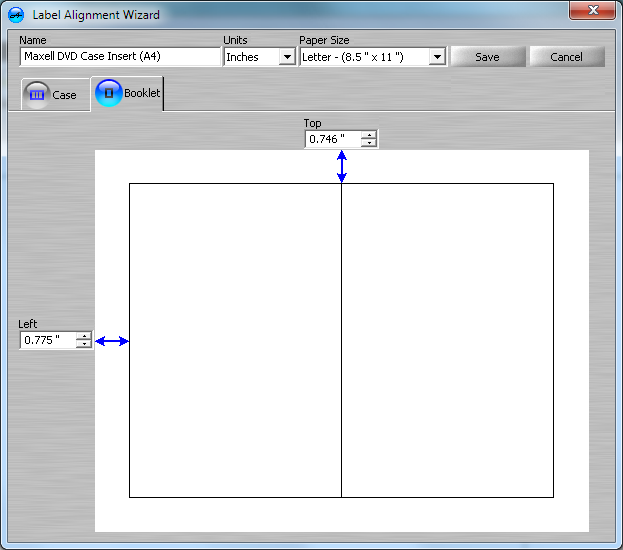 There are also adjustable DVD and Blu-ray case templates for creating movie labels. 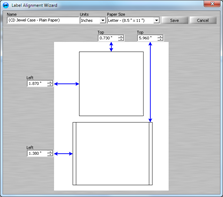 This dialog is used to change the dimensions of the template so it aligns with your printer. 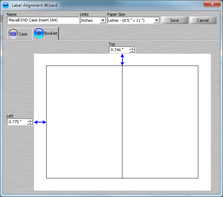 If you have a non-standard label, measure your label with a ruler, and enter the dimensions in the dialog box. 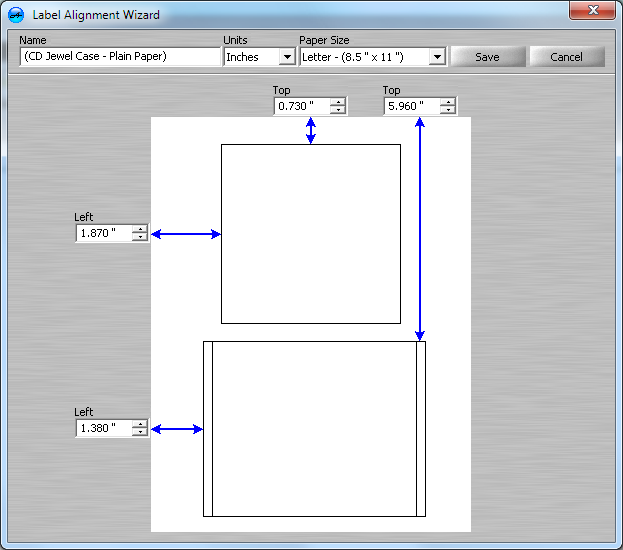 When the dimensions are changed, your label design is moved and sized automatically. 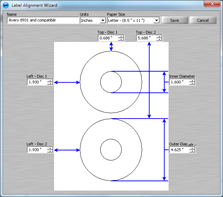 This template can also be used to print directly on a CD or DVD. There are predefined templates for most direct CD Printers like Canon, Epson, and Hewlett Packard. When it comes to compatibility, AudioLabel is definitely the best choice for all the cd cover formats. 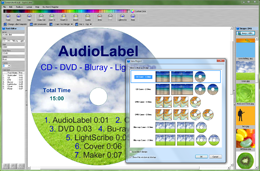 The "Change Label Template" dialog on the left allows you to select predefined CD, DVD, and Blu-ray templates, or create a new custom template. After selecting from the list, your label design will be automatically moved and sized according to the new dimensions (including all of the images and text). This dialog box shows three blank cd covers; however, the real label design in shown in the main program view. 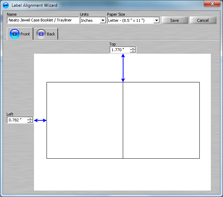 The "Edit Dimensions" button opens the Edit Dimensions Dialog and allows you to adjust the dimensions of the currently selected template. The "Create New" button also opens the Edit Dimensions Dialog and allows you to create your own custom DVD or CD covers template. The "Delete" button is used to permanently delete the currently selected CD, DVD, or Blu-ray template (the label design itself is not deleted). AudioLabel is a full featured CD/DVD cover maker that includes an adjustable cd cover template and dvd case template. Automatically imports your album cover information and fills out the label for you. Easily add images, photos and backgrounds. Download AudioLabel and start making CD covers like a pro.